You can dial for emergency services on an Android phone without first unlocking it. This feature enables you to quickly contact emergency services if you forget your unlock code or pattern or if you’re too panicked to input it correctly. There is no way, however, to use this feature to get into an Android-based phone without also knowing the device's password. Most Android phones, regardless of manufacturer, have an Emergency button at the bottom of the lock screen. To use it tap Emergency, which brings up the phone dialer, and then tap in your local emergency number. You won’t be able to access any of the phone’s other functions without unlocking it. 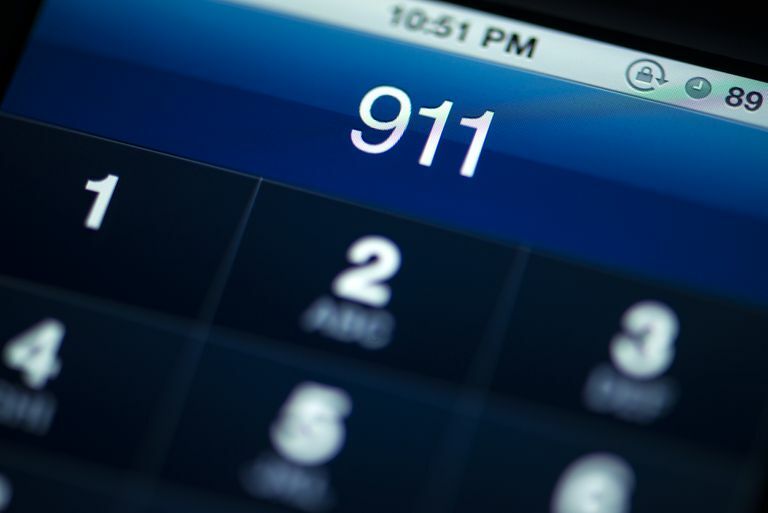 Plus, the only number you can dial is 911 (or the emergency number in your region, such as 999 in the United Kingdom). Of course, it also means that strangers can do the same, but they won't be able to dig into your personal information. You can add emergency contacts and health information to the lock screen, such as allergies or health conditions. Do so by doing into Settings > Emergency Information. Then emergency responders can see this information and call your contacts without unlocking the device. Can Someone Break Into Your Phone Using Emergency Call? If you search online, you’ll see numerous articles promising to show you how to break into an Android phone by going to the emergency dialer and inputting a string of characters or long-pressing a button. While this might have had some success years back, Android 6.0 Marshmallow put that to a stop. Ever since then, there’s no way to unlock an Android phone without a password using the Emergency call method. If your Android runs Lollipop or earlier, you can also download a third-party lock screen app that doesn’t include an emergency option. You can also protect your Android device using Google's Find My Device, which allows you to remotely lock your phone, sign out of your Google account, or perform a factory reset. When you sign into your Google account on an Android phone, Find My Device is automatically enabled. Verify that the feature is on by going to Settings > Security & Location > Find My Device. Should you lose your phone, go to myaccount.google.com/find-your-phone. Menu options in settings might differ for older versions of Android. Bad with passwords? If your Android phone supports fingerprint unlock, that’s a convenient method, though you might have to input your password, pattern, or pin code after a restart. Samsung offers the option to create a backup password, pattern or PIN during setup. Consider adding one and make sure to save that information in a safe place. You can also use Samsung Find My Mobile account to lock it remotely. You’ll need a Samsung account with remote controls enabled. Check that remote controls are on by going to Apps > Settings > Security > Remote Controls. If you misplace your phone, go to account.samsung.com and log in with your Samsung credentials.